Yeah, I like Streets of the Dead! If I might suggest - I know movie tie-ins are cd letter bait, but I think a property like Shaun of the Dead could be used here and Edgar Wright and Simon Pegg would love it. Add in elements of the film, fence jumping, blending in, killing Philip, finding your way to the Winchester Pub. And then you could use yet same engine to make the entire Three Flavours Cornetto trilogy, following with Hott Fuzz and the World's End. 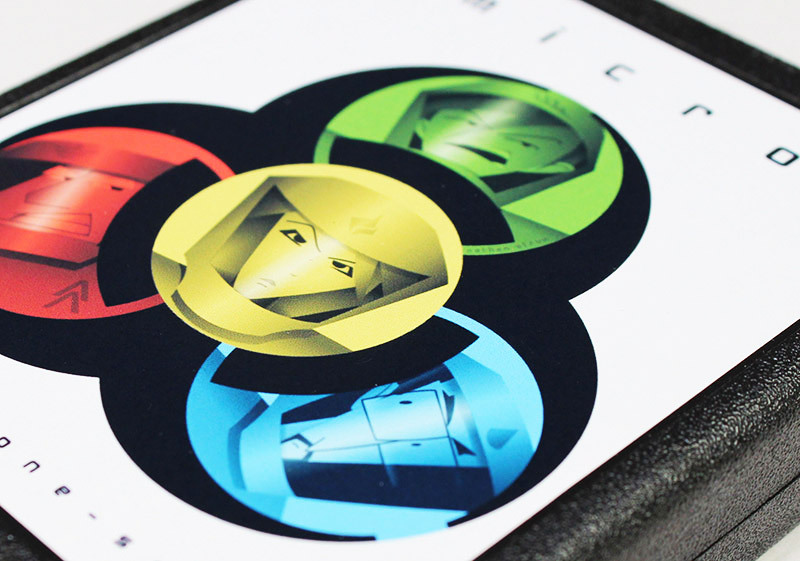 Looks great, another quality gem to play. How about a simple name like 7800 Zombies? ...and now we have the name: "Zombie Brigade" Thanks guys! (although "Streets Of The Dead" was very close!) I originally wanted to call it World War Z but I think a certain Movie Studio might have an issue with that. Thanks for the compliments... I think I need to rewrite the collision detection section but when I have at least a demo I will post a binary... But it won't be for a little while because I am pretty far behind. Collision detection, you say? Might you be up for adding that to Missing in Action too? By the way, everyone over in the 7800 group on Facebook is singing high praises in your honor, Bob. That and they love the pics of your custom 7800 paint jobs. Todd's Adventures in Dead World. I think you're going to call this game, "Save Yourself Using Extreme Violence Upon Oxygen Deprived Brain Damaged Puffer Fish Toxin Poison Victims". +1. Because it reminds me of Death Race 2000. Fantastic looking work to all involved. Can't wait to play it! 'Blending in' has been in several different zombie movie franchises, and would be a great mechanic to have, maybe for bonus rounds or something? Walk back and forth over a dead zombie a few times, then only move slowly or your cover is blown. Maybe only lasts 20 seconds or something. Just a thought. GTA meets Zombies Ate My Neighbors? I recently picked up Zombies Ate My Neighbors at my local Game-X-Change. Pretty fun for what it is. Is your new homebrew more of an avoidance game, or do you simply kill everything in sight? Zombiepalooza 7800 or "Fools From the Alamogordo Desert Searching for an Underground Alien"
Awesome, just awesome. My money is ready for the taking. hmmmm..... so many good ideas here. I probably shouldn't put the cart before the horse though. Edited by PacManPlus, Fri Oct 31, 2014 3:36 AM. Awesome costume, Bob! 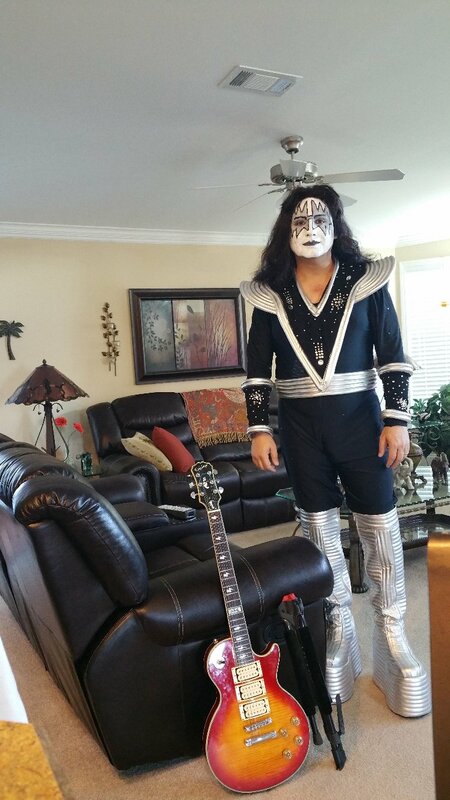 Have a fantastic Halloween...Do Frehley's Spaceman justice. Ya even got the 3humbucker Gibson. Cool look! Yeah I was thinking of Death Race 2000 when I thought of Death Street 7800. That movie is my fav. along with Mad Max. Edited by Jinks, Fri Oct 31, 2014 6:21 AM. Absolutely amazing work so far! You guys are the new legends. Too soon? And I'm about to release another game that is more fitting for that particular name. I love the screenshots. Reminds me of early GTA... but on the 7800! Will this be an XM only game?